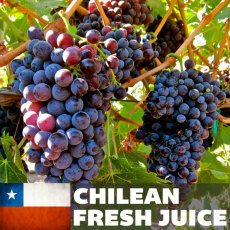 We have worked with our suppliers to bring you the freshest grape juices from the Maipo Valley in Chile. These juices are often reserved for wineries, but we bring them directly to you so that you can make Chilean wines like those coming from the finest and most exclusive wineries! Each bucket contains 6 gallons of juice that has been acid and pH balanced, and is ready for fermentation. Instructions are included as well. 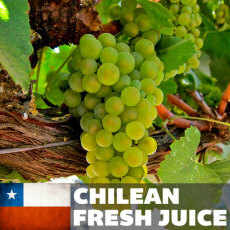 Be part of the Chilean winemaking heritage and make your own Chilean wines from these top-quality juices today! Available for Pickup (no shipping): Late April - Early May. Fresh Pinot Grigio juice from Chile that has been acid and pH balanced, ready for you to ferment into world-class wine! This product is available for pre-order for in-store pickup only. Estimated availability date is early May. Fresh Sauvignon Blanc juice from Chile that has been acid and pH balanced, ready for you to ferment into world-class wine! This product is available for pre-order for in-store pickup only. Estimated availability date is early May. Fresh Riesling juice from Chile that has been acid and pH balanced, ready for you to ferment into world-class wine! This product is available for pre-order for in-store pickup only. Estimated availability date is early May. Fresh Gewurztraminer juice from Chile that has been acid and pH balanced, ready for you to ferment into world-class wine! This product is available for pre-order for in-store pickup only. Estimated availability date is early May.